I’m waiting…I needed to order more linoleum for another large cloud linocut, and of course this is taking longer than expected. My daughter and I have painted silk scarves with Procion dyes, often used for tie-dying. 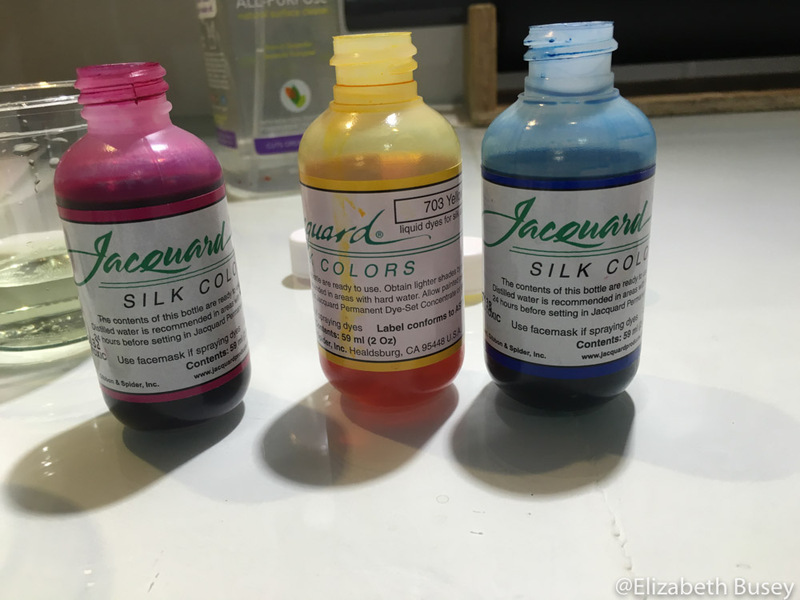 A e-mail exchange with the folks at Dharma Trading Company prompted me to purchase Jacquard (Green Label) dyes because I wanted to make sure all the colors were going to be stable. Blues (again!) are often the problem. Jacquard (Green Label) Silk Colors were recommended as more stable than the tie-dye Procion dyes I had used before. 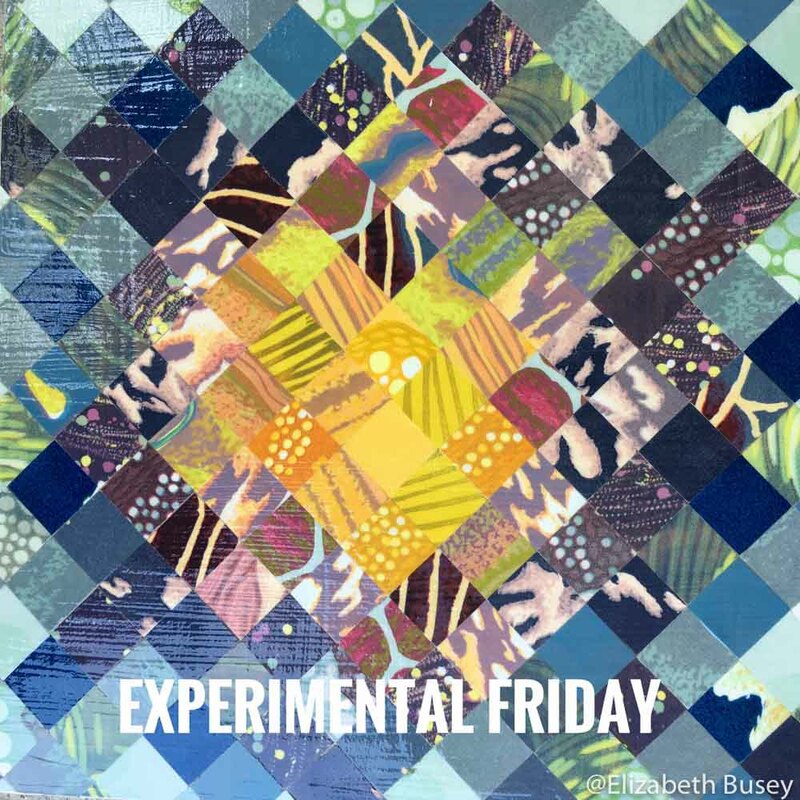 This entry was posted in Experimentation, Materials, Techniques, Uncategorized and tagged dyes, experimentation, freezer paper, Jacquard green label dyes, Linocut, painting, silk on September 22, 2016 by Elizabeth Busey. Where do you hide your experiments? I sometimes wish I was a painter. 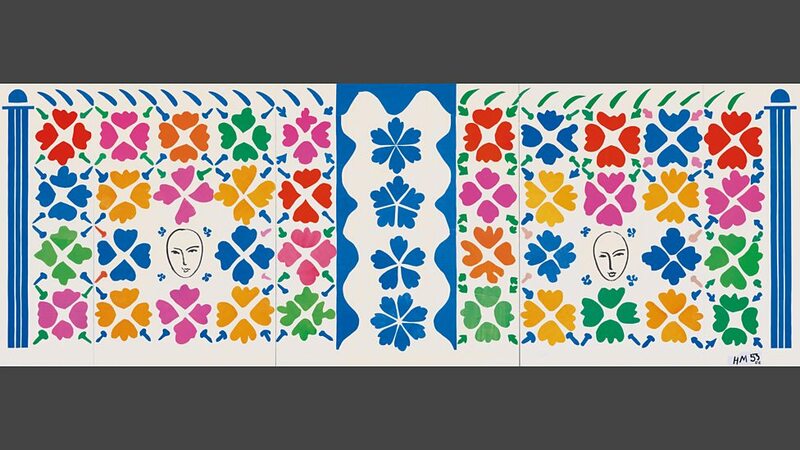 There are efforts throughout the year where artists create a painting a day. What that must be like — the potential to experiment with a new idea each day! I am usually wedded to an artistic idea for quite a while. Some end up in frames, and others lie quietly in a drawer, silently mocking me. I cut some linocuts into one inch squares, finally aided by a scrapbooking punch. I crave novelty, especially when I have just finished something large and demanding. I had been feeling this way after framing my large linocuts, Breath of Hermes and Summertide Brings the Derecho. My spoiled linocuts had been used in a project to create eight-pointed stars, and my brain wanted to pursue this idea further. I decided to cut some of these linocuts into small squares and experiment with some collage in an homage to Chuck Close. My first realization was that it is quite difficult to cut perfect one-inch squares. So I ventured into a craft store and found a scrapbook punch that make quick of work of my scrap linocuts. Suddenly I had a quite a palette of color. 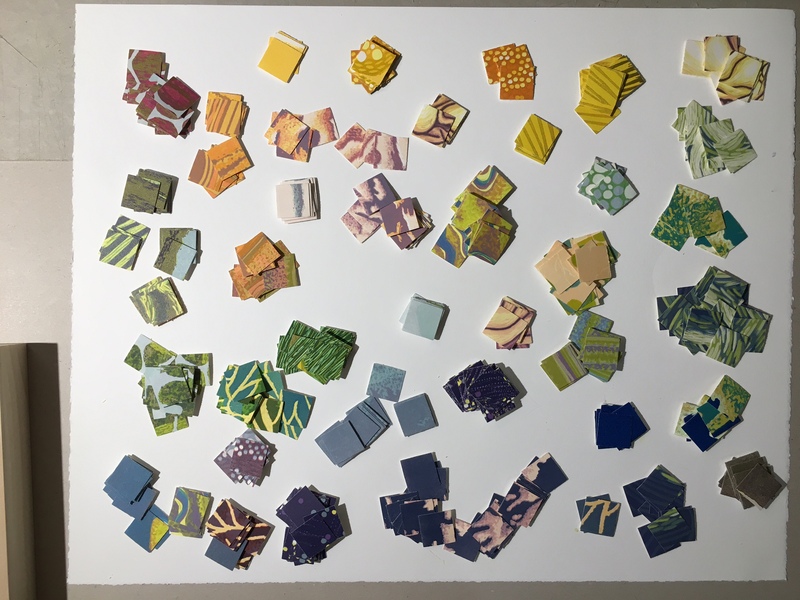 First I put the squares flowing from color to color…. I posted this on Instagram during an Experimental Friday. Then I chose a pattern from the center, working outward. After making my commitment, I glued everything down to a cradled board and covered it with a few layers of self-leveling gel medium. Turns out that this medium is not completely flat like a resin, but was certainly adequate for my experiment. What do you do with your experiments? Now I was left with this lighthearted creation that I was pleased with. But I had no burning desire to venture into the world of collage. 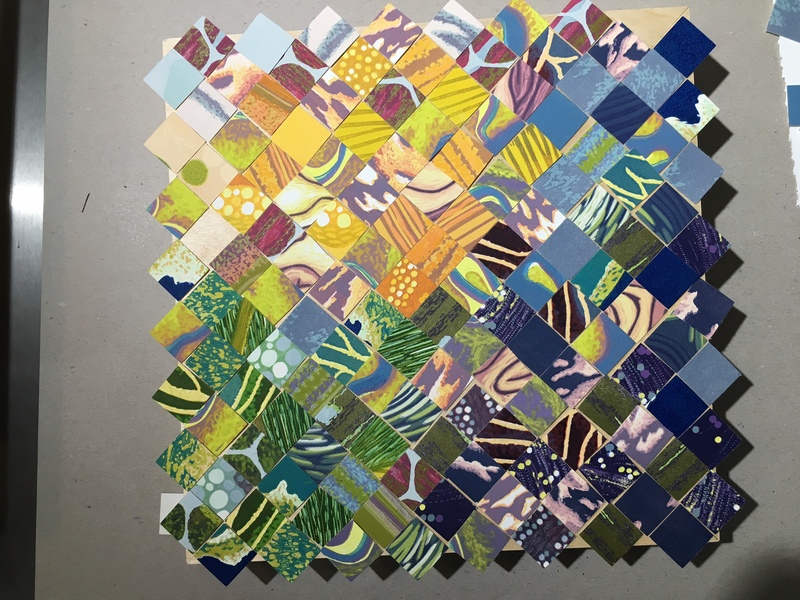 My 12-inch square creation was propped in my studio for a few weeks, until a fit of home-change overtook me. 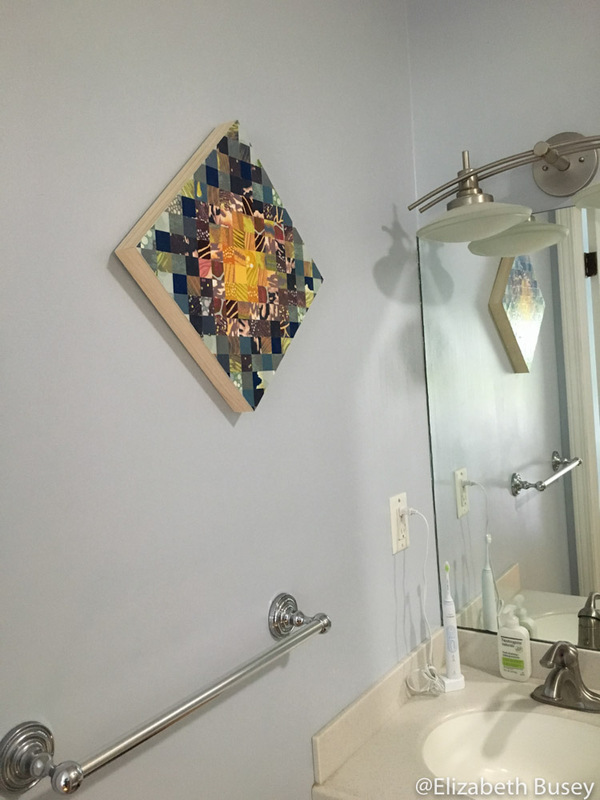 We have the world’s smallest master bathroom which has never had artwork in the over twenty years we have used it. So I took nails and a hammer, and hung it! Because the work is coated with acrylic gel medium, it should resist the steamy conditions. It is the perfect hiding place for a fun experiment. Now back to another cloud linocut… and some more experiments. 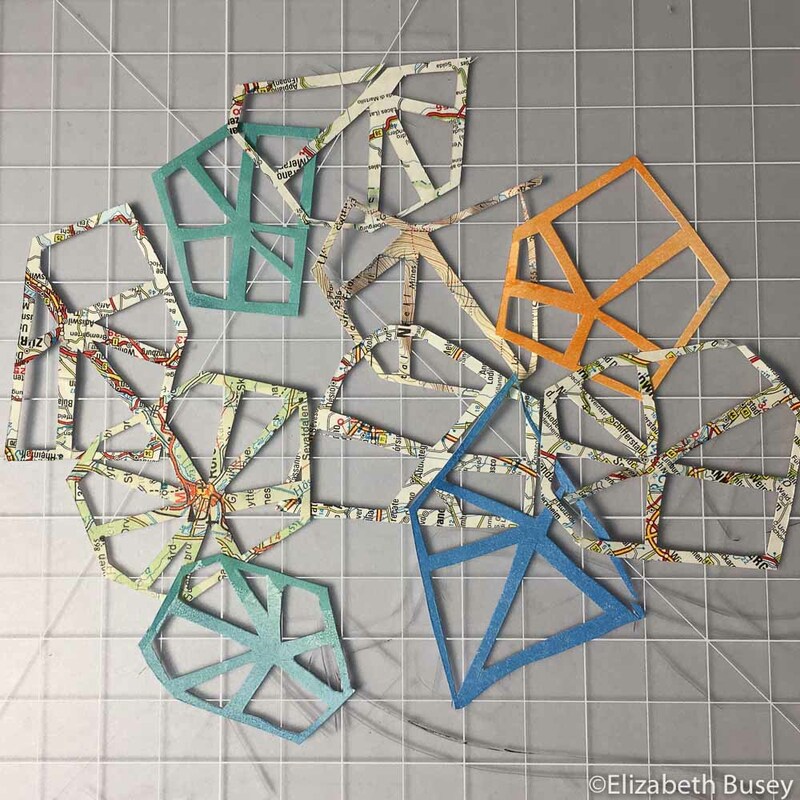 This entry was posted in Experimentation, Techniques and tagged acrylic gel medium, collage, experimentation, linocuts, self-leveling gel on September 16, 2016 by Elizabeth Busey.